Moses may have had the good sense to listen to his father-in-law and delegate some of his duties to other trustworthy Israelites, but, even with some much needed help, Moses’ responsibilities did not suddenly became light and easy. Jethro admits as much when, after encouraging Moses to share his workload with others, he says, “If you do this and God so commands, you will be able to stand the strain” (Exodus 18:23). Moses’ responsibilities, though fewer, will continue to be straining and stressful. There will still be plenty for Moses to do. Perhaps you can relate to Moses. After all, you, like Moses, have probably been told of the importance of working smarter and not harder. Yet, no matter how many time management principles you implement and no matter how many tasks you delegate, you, like Moses, may still find yourself awash in a sea of obligations and unexpected troubles that can become overwhelming at times. What do you do when the principles of working smarter rather than harder fail you? Jesus shows the way. Mark 6 proves to be one of the most tragic in the Gospel. Jesus’ dear friend and cousin, John the Baptist, is beheaded at the behest of Herod Antipas’ stepdaughter. Jesus is understandably distraught. But Jesus’ jam-packed calendar of ministry marches on. In the episode immediately succeeding John the Baptist’s untimely death, Mark notes, “So many people were coming and going that Jesus and His disciples did not even have a chance to eat” (Mark 6:31). Jesus may be mourning, but the crowds still want to see Him. It is with the memory of Jesus’ cousin weighing in on Him and the throngs of curiosity seekers pressing down around Him that Jesus issues an invitation to His disciples, “Come with Me by yourselves to a quiet place and get some rest” (Mark 6:31). Jesus’ invitation is fascinating. Though Jesus Himself is certainly tired and emotionally spent, Jesus’ primary concern is not with Himself, but with His disciples. 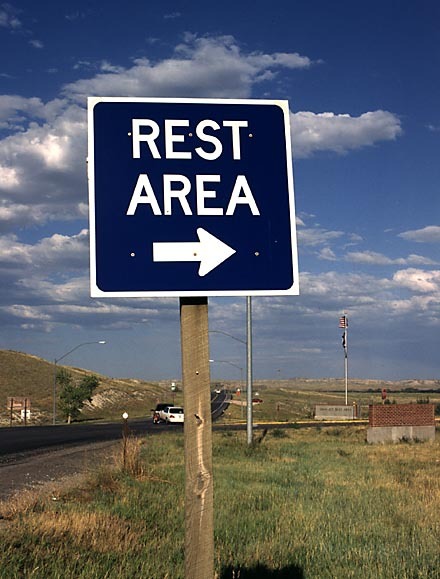 The verbs of His invitation – “come” and “get some rest” – are second person plural verbs. That is, Jesus is saying to His followers, “You come with Me by yourselves to a quiet place and you get some rest.” Jesus, knowing that His disciples are exhausted even as He is exhausted, nevertheless has compassion on His disciples and invites them to get some rest by spending time with Him. Jesus, it seems, is a man of boundless compassion. He has compassion on His disciples when He invites them to rest with Him. When Jesus’ plans for a peaceful getaway are foiled because large crowds follow Him to His destination, Mark notes, “He had compassion on them, because they were like sheep without a shepherd. So He began teaching them many things” (Mark 6:34). Jesus has compassion on the crowds when He cancels His vacation plans to preach them a sermon. Following His sermon, when He finds out the crowds He has been teaching are hungry, He has compassion on the multitudes by holding history’s first potluck. When everyone else forgets to bring a side dish, Jesus takes the meager offering of a little boy – five loaves and two fish – and multiplies it to feed five thousand. As He does on the disciples when they are tired and as He does on the crowds when they are spiritually lost and physically hungry, Jesus has compassion on you too. When your life is straining and stressful, Jesus understands. After all, He has gone through straining and stressful times too – losing loved ones and being exhausted by the rigors of day-to-day ministry. But Jesus doesn’t just empathize, He can also help. For the same invitation He offers to His disciples, He extends to you: “Come with Me by yourselves to a quiet place and get some rest” (Mark 6:31). Or, as He puts it another time: “Come to Me, all you who are weary and burdened, and I will give you rest” (Matthew 11:28). No time management principle – no matter how good it may be – can remove all stress and strain from life. For life is full of the unexpected. But no stress or strain – no matter how heavy – can destroy the peace and rest that Jesus gives. For the peace and rest that Jesus gives is not based on life’s circumstances, but on His promise. And His promise is stronger than life’s stresses. So go away with Jesus and get some rest. You need it. It started with MTV’s “The Real World.” And ever since, television has never been the same. So-called “reality TV” has become a staple of both cable and network prime time lineups. It used to be “Big Brother,” “Survivor,” “The Bachelor,” and “Fear Factor.” Then came reality talent competitions like “American Idol” and “Dancing with the Stars.” These days, shows like “The Biggest Loser” and “The Voice” top the ratings. And now, new to the reality TV field is the surprise hit … “Best Funeral Ever”? I wish I was making this up, but I’m not. TLC’s newest reality show features over-the-top funerals directed by the over-the-top Golden Gate funeral home in Dallas. 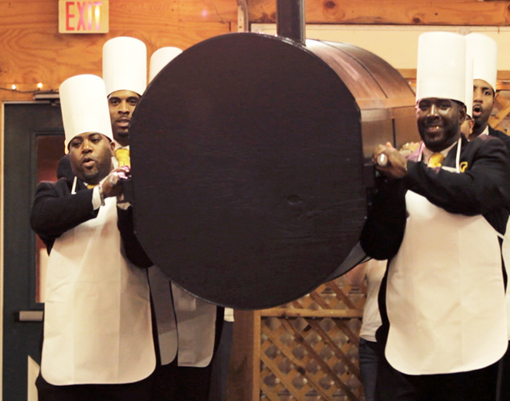 The funeral home’s motto describes its philosophy: “You may be in a casket, but it can still be fantastic.” So far, the show has featured a Christmas-themed funeral complete with a mourner dressed as a snowman as well as a funeral for the singer of the Chili’s Baby Back Ribs jingle, Willie McCoy, which boasted a barbeque sauce fountain, ribs for the guests, live pigs, and a coffin shaped like a smoker. The garishness of these funerals may provide a ratings boost for “Best Funeral Ever,” but its irreverence also invokes deep discomfort. Clinton Yates of the Washington Post lamented, “TLC’s exploitation of how families mourn their dead is shameful in an era in which we can barely focus on keeping each other alive.” Turning mourning into a spectacle just doesn’t seem right. Of course, there is a reason turning mourning into a spectacle doesn’t seem right. It doesn’t seem right because it isn’t right. Death and the mourning that it brings is an indicator of something gone terribly wrong and tragically awry. This is why death is referred to in the Bible as an “enemy to be destroyed” (1 Corinthians 15:26). Death is no joking matter. The ancients were well aware of the gravity of death. After all, it was all around them. In first century Rome, the average life expectancy was a mere twenty years. And the Romans hated this. This is why when a person died, he was taken outside the city to be buried. This is why a Roman law mandated, “No body be buried or cremated inside the city.” People did not want to be near death. They did not want to confront the mortality that surrounded them. But then, something changed. Rather than burying the dead far away from the living, cemeteries began to become a part of the local landscape. As Christians began to build houses of worship, many cemeteries were plotted directly on church grounds. To worship the living God, you would have to walk through the valley of the shadow of death. In our day, we might find this unsettling. But for many early Christians, such a move was intentional. For these Christians believed that death was not only an enemy to be destroyed, but an enemy that would be destroyed. These Christians believed the somber scene of the cemetery was only temporary. Indeed, even the word “cemetery” is from the Greek word for “dormitory” – a place where one dwells only for a time. These cemeteries, then, were not tragically permanent dwellings, but only provisional dormitories. One day, the people buried in them would move out and move on to be with the Lord at the resurrection of the dead. There was no need to be scared of them. The tragedy of a show like “Best Funeral Ever” is that it replaces resurrection anticipation with TV tawdriness. Snowmen, barbeque fountains, live pigs, and smoker shaped caskets offer little in the way of true and lasting hope. As Christians, we know that what a funeral needs is not cheap antics, but an empty tomb. It is there that we find cause for real celebration, for it is there that we find God’s promise of life. Clinton Yates, “‘Best Funeral Ever’: Most frightening reality TV show to date?” Washington Post (1.7.2013). For a good discussion of how the Christian hope of the resurrection changed ancient views on death, see John Ortberg, Who Is This Man? The Unpredictable Impact of the Inescapable Jesus (Grand Rapids: Zondervan, 2012), 191. It was quite a byline: “‘Protestant’ is no longer America’s top religious umbrella brand. It’s been rained out by the soaring number of ‘Nones’ – people who claim no faith affiliation.” When Cathy Lynn Grossman, religion editor for USA Today, penned these words for her article, “As Protestants decline, those with no religion gain,” they served as yet another sobering statistical reminder concerning the decline of Christianity in America. More and more people, it seems, are simply not concerned with matters of faith. “Cultural Christians” mark “Christian” on a survey rather than another world religion because they know they are not Hindu, Jewish, etc., or because their family always has. “Churchgoing Christians” identify as such because they occasionally attend worship services. On the other hand, “conversion Christians” claim to have had a faith experience in which they were transformed, resulting in a deeply held belief. The recent growth in “nones,” I believe, comes primarily from cultural and churchgoing Christians shifting to the category no longer using a religious identification. So what does all this tell us? I would offer two thoughts on this data. First, this data is a good reminder that, contrary to the gleeful predilections of naysayers, Christianity is not on the brink of extinction. On April 8, 1966, TIME Magazine famously carried a cover story titled, “Is God Dead?” where eminent theologians opined on the possibility of doing theology without God. Christianity, it seemed to these scholars, was on the decline while secularism was on the rise. The “nones” were on the ascendancy and would shortly squelch the relic religious commitments of the Dark Ages. But those relic religious commitments to a God from ages past stubbornly refused to die. Christianity did not fall flat. And Christianity will not fall flat. As the above statistics intimate and as Ed Stetzer explains, it’s not that Christianity in America is declining per se, it’s that people are becoming more honest about what they actually believe. Second, this data reminds us that Christianity and culture don’t mix quite as well as some might have previously thought and others might currently wish. The desire to have a culturally Christian nation didn’t work so well in the first century as the nascent Christian Church was belabored and bludgeoned by the Roman Empire and it doesn’t work so well in the twenty-first century in a secular society that disparages and derides the Christian faith. This should not come as a surprise. Christianity and culture will always be at odds with each other, for the perfect law of God and the sinful sensibilities of men can never coalesce. Ultimately, this tendentious relationship between Christianity and culture should clarify our mission. For all too often, the Christian mission has been reduced and relegated to little more than that of fighting culture wars in hopes of forcibly shaping society. However, such efforts have proven largely futile. Yes, there are times when Christians need to stand up for the truth in society. And no, I do not have any problem with Christians lobbying governing officials on issues of moral import – issues such as abortion or caring for the poor. These things are indeed important. But in order to win on Christian positions, we must first win over people. After all, people hold positions. Positions do not hold people. If you don’t win over a person, you won’t win on a position. Finally, even if things seem grim in society, take heart! Persecution, ridicule, and mockery from without the Church and scandal, avarice, and pride from within the Church have not been able to destroy a faith founded by an itinerant preacher from the backwaters of Galilee. I have a feeling some statistics about Christianity’s decline aren’t going to be able to take it down either. Cathy Lynn Grossman, “As Protestants decline, those with no religion gain,” USA Today (10.9.2012). Ed Stetzer, “Column: Christianity isn’t dying,” USA Today (10.18.2012).